"Do you have a honeymoon gift list?" Finally, you can say "Yes" with our free private label honeymoon and cash gift list solution for travel and wedding professionals. 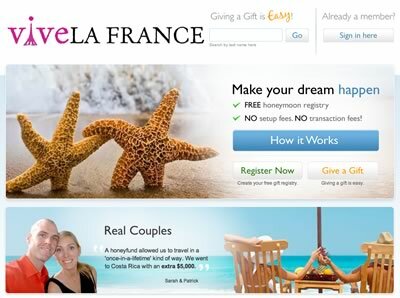 Honeyfund.co.uk's full-featured honeymoon and cash gift list service complete with your name, logo and destinations. FREE to you, your clients and gift givers. No transaction fees, no set-up fees. Attract clients by offering them the means to afford a luxury honeymoon. Couples create and manage their own gift list, or you do it for them.